When creating a website, we are invisible to Google. It is then necessary to develop its traffic via different acquisition channels. Some webmasters then prefer to turn to SEO. It is then essential to define a long-term strategy, aiming to gradually occupy the pages of Google results, on the keywords essential for your business. A basic but complete solution. SEO tools are an integral part of the life of a professional speaker. Many of these tools can also be extremely useful to you, whether you are a beginner in the field, or just want to develop a serious project. We tested for you several tools specialized in SEO and today we present our comparative (2018) best SEO tools market. In practice, most SEO tools on the market fulfill all these features and offer a 360 ° service. However, some excel more than others in a very specific part seen above (audit, tracking or backlinks). It is essential to arm yourself with a tool that fulfills these functions. It is vital to know which keywords you want to target, what are the technical issues affecting our website, and the level of competition. Each of the content created on your site, and each link obtained will have an impact on your presence on the search engines. Indeed, relevant content will index and will generally be well referenced. The links ( also called backlinks ) meanwhile they will allow you to mount your content on Google results pages (& Bing!). Imagine that the content is a seed, and that the links are the water that you will provide them to grow). It is therefore essential to equip yourself with an effective monitoring tool to know if your different actions ( content creation & obtaining links) are effective. Clearly, this will allow you to know if the strategy put in place is bearing fruit or not. The reporting software you choose will be updated daily with the average position and keywords you are placing. It will also serve to know if the competition is losing speed or not, and on what words, which will allow you to direct your strategy. It is important to know the backlinks obtained by your competitors in order to copy them and gain popularity. The goal is to see which ones you can get. Note that it is much more interesting to get backlinks sites in the same theme as yours: we will avoid getting a link from an insurance site when we speak for example of sunglasses on our blog site . 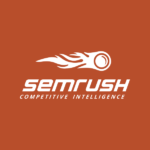 Price: from $ 99.95/month Semrush is an extremely complete tool which we quickly fell in love with. Indeed, the best tools are those that we use every day. The tool is very good for performing a quick audit of the competition (site traffic, popularity, semantic audit) Searching for keywords is particularly effective and allows you to find related keyword ideas to use for your website. The tool also allows daily tracking of your positions and spy on the competition by analyzing their link profile. A safe bet! The tool has a free version (limited to 5 searches per day) that you can get by clicking here. 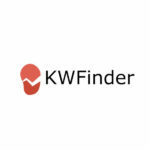 KWfinder is also a tool that fulfills all the features that are expected of a SEO tool worthy of the name. Indeed, as its name indicates it is mainly access on the search of keywords but also allows to analyze the competition of each keywords. You can test the tool in its free version by clicking here. A complete tool that you can try by clicking here.